Best Ways to Celebrate Ohio Statehood Day - Ohio. Find It Here. While you have probably heard of Statehood Day, you may not know why it exists or what parts of the state play a role in the evolution of Ohio. The state of Ohio became an official state on February 19, 1803. 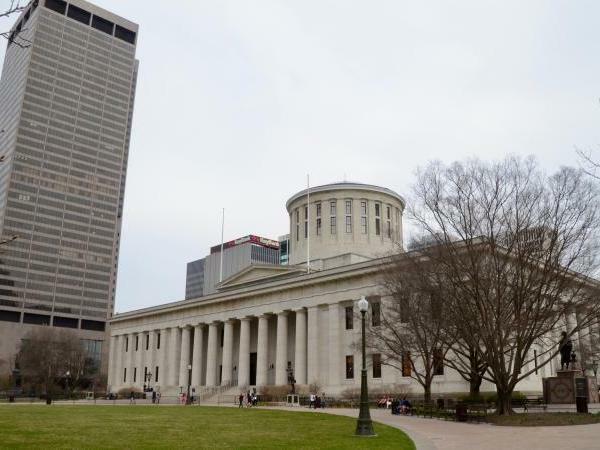 However, it was not until March 1, 1803 when the Ohio General Assembly had its inaugural meeting and conducted its first official state business. While Statehood Day is commemorated every year on March 1st there are sites around Ohio worth visiting any time of the year that play a significant role in Ohio’s statehood. The Ohio History Connection is a treasured resource for all things Ohio and the Ohio History Center and 1800s village in Columbus can fill a day to explore the beginnings of our state. Another way to explore Ohio’s origins is by taking a road trip to some other cities where you can fill your curiosity with insight into how Ohio became the 17th state. Columbus is the capital city of Ohio and home to the Ohio Statehouse – the pulse of Ohio politics. What makes a visit to the statehouse even more intriguing is that Columbus was not the original capital of the state. Chillicothe and Zanesville were both state capitals of Ohio before Columbus. If you have not visited the Ohio Statehouse in downtown Columbus there is much to explore. The statehouse is where the official business of the state takes place in the capital city. You can take a public tour and see first-hand the Ohio Statehouse, Atrium and Senate Building. Explore the Capital Square complex both inside and outside. The perimeter of the statehouse has Ohio-related statues, flag dedications and outdoor displays about Ohio on the grounds. Be sure to stop by the Museum Education Center and the Statehouse gift shop for unique Ohio-focused items. The southern Ohio riverfront city of Marietta earned Ohio Statehood recognition for being the first organized settlement in the Northwest Territory. 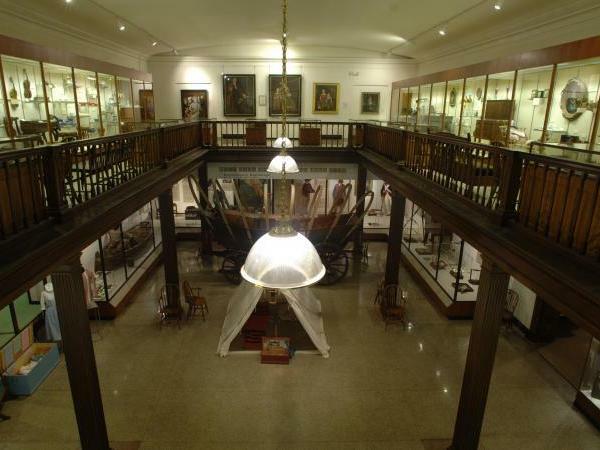 While Marietta is easily overlooked for its contributions to the development of the state, the Campus Martius Museum is a treasured reminder of our history. The museum building was built as a stockade in 1788 to protect members of the Ohio Company fighting in the Ohio Indian Wars in the late 1700s. Today, the museum chronicles the history of the founding of Marietta on the Ohio River and the creation of the Northwest Territory which began the expansion of states in 1787. Experience how early politicians made landmark decisions that played a role in the formation of Ohio as an independent state. View rare and historical documents, see artifacts from previous civilizations in the area and explore the historical buildings on-site. Chillicothe was Ohio’s first state capital and central to eighteenth century politics in the Northwest Territory. 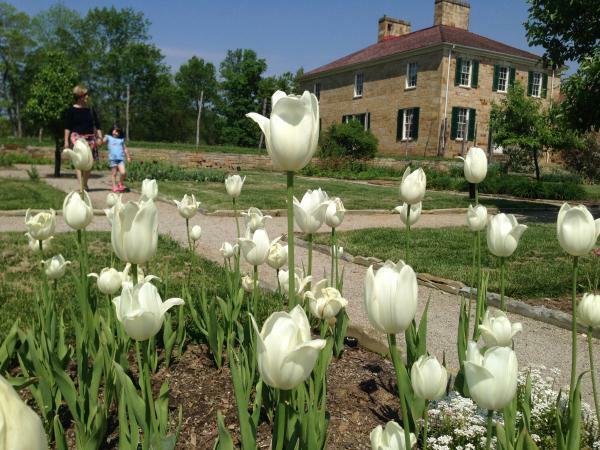 The Adena Mansion and Gardens in Chillicothe is a historical site deserving of a weekend afternoon visit. The Adena Mansion was the home of Thomas Worthington who was among those serving in the Ohio General Assembly in 1803 as one of the first U.S. Senators. Worthington went on to become Ohio’s sixth governor in 1814. The original estate, referred to as the Adena Mansion, was 2000-acres with gardens and buildings. The restored portions of the estate and renovated gardens are now open to the public. The view of Mount Logan across the Scioto Rivery Valley from the estate was the inspiration for the official seal of Ohio. In addition to the restored mansion and blooming gardens you can visit the museum and visitor center to get a sense of life on the estate in the 1800s. Thomas Worthington was so influential to the state of Ohio that the city of Worthington is named for him. There are a number of historic stops in Worthington intermixed with modern businesses and restaurants. The Orange Johnson House Museum is one of the oldest standing homes in Central Ohio still in its original location built in 1811. Walk through the museum to see the 19th century architecture, period furniture and historical artifacts and exhibitions curated by the Worthington Historical Society. Another must-visit historical site in Worthington is the Old Rectory which transformed from its original use in 1845 at St. John’s Episcopal Church to a now fascinating Doll Museum and Gift Shop where you will find rare and antique dolls. 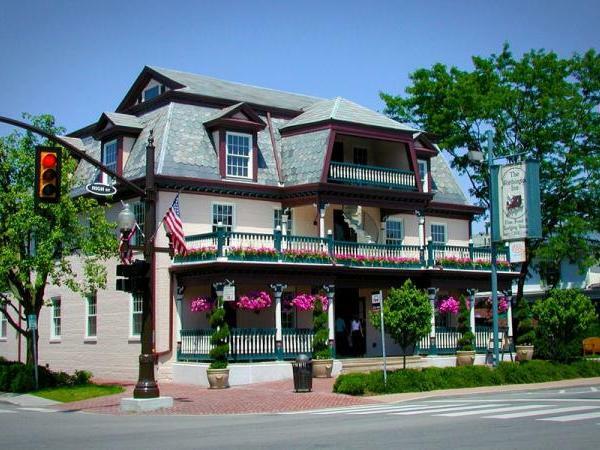 Before you depart Worthington, you must stop for lunch or dinner at the historic Worthington Inn. The Victorian structure was built in 1816 as a residence for an entrepreneur named Rensselear Cowles who wore many hats in the community including serving as a County Commissioner. Today the Worthington Inn is a culinary treasure sourcing from local farms and serving as an elegant backdrop for special evenings out. The city of Zanesville had a brief two-year stint as Ohio’s capital city in 1810. When you visit the small city in Muskingum County you will find historic remnants to its short, but important place in Ohio history. A visit to the Ohio Bicentennial Monument chronicles past presidents from Ohio and important events that shaped the buckeye state. The Nelson T. Grant Homestead is the restored home of Nelson T. Grant who went from life as a slave to one of the richest men in Muskingum County. Another important stop in Zanesville is Prospect Place, a grand 29-room mansion built in 1857 by abolitionist and former railroad president George Willison Adams. Adams was also a member of the Ohio General Assembly and an important nugget of history about the home is its place as a stop on the Underground Railroad. The grand mansion is open for tours throughout the year and there even ghost tours available on occasion. For more information about Statehood day, visit the Ohio History Connection and find more Ohio history here at Ohio.org.